World XI has beaten Pakistan Development Squad by 5-1 in their first of the two match series which was played in Karachi. Pakistan got the earlier lead in the first quarter when Adeel Latif converted a good move into a goal in the 6th minute of the match. 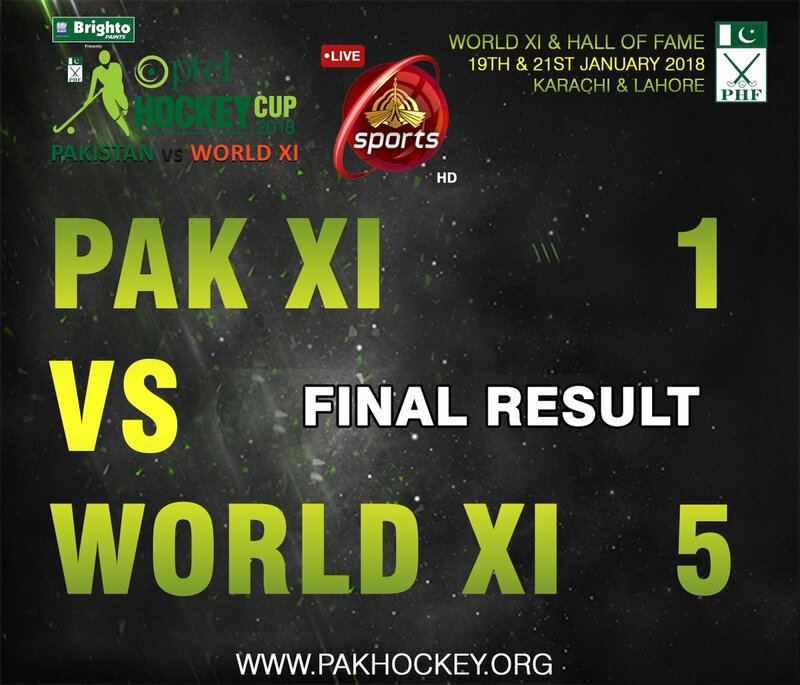 Pakistan maintained their 1-0 lead in two quarters but couldnâ€™t keep the control in the third quarter which saw World XI turning the match around with four consecutive goals. Captain Roderick Weusthof converted a penalty corner into a goal for the World XI to put Pakistan under pressure. The Dutch striker scored in the 33rd and 36th minute to give World XI a lead of 2-1. Five minutes later, Australian Grant Schubert scored to extend the lead 3-1. Phillip Meulenbroek scored the 4th goal for the touring side. Spanish David Alegre did it 5-1 for the World XI side with a beautiful flick to score his first goal in the match. Pakistan made some very good moves despite being under deficit but they could not convert the moves into goals and finish it properly. The second match of the series will be played on Sunday in Lahore. This is not Pakistan regular side but junior players so they can get some practice and experience of International level.